Spring is the perfect time to do some of those infrequent, deep cleans that are necessary to get your home ready for summer. 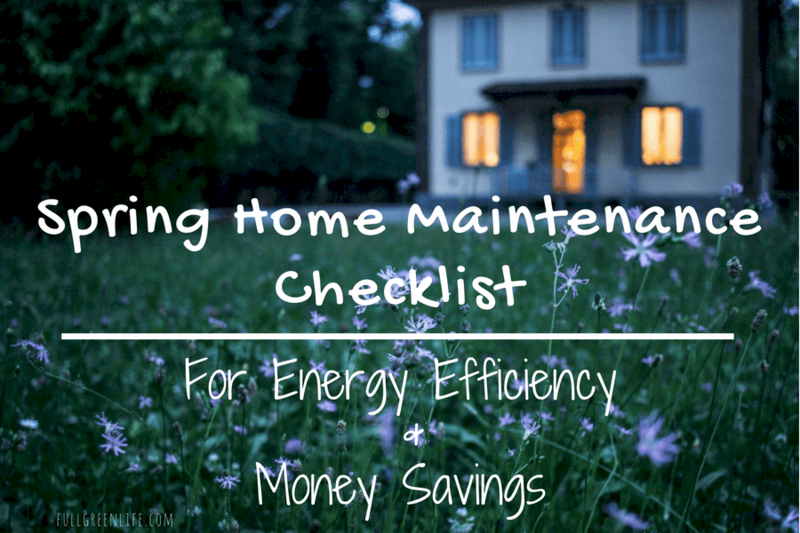 By tending to these home maintenance tasks, you are making sure that all parts of your home are clean and running as efficiently as possible. This saves energy and also saves you money. Here in the desert, it gets so blazing hot by the end of May, that once spring hits, you have to hit the ground running with these chores if you are going to beat the heat. Since I have a big family and a ton going on all the time, just like you do, I find it helpful to have a list to help me keep track of what I have done and what I still need to do. 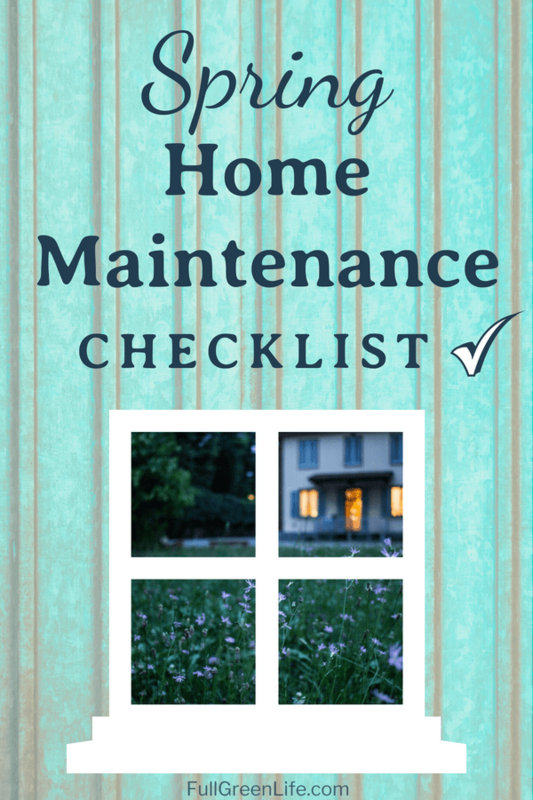 So here are the tasks on my Spring Home Maintenance To-Do List! During summer months, the air should be blowing down toward the room to cool you off and circulate the air. In winter, the fans should be drawing air up toward the ceiling to keep the warm air moving without making you feel chilled. This helps maximize the work of your air conditioner (and your heater in the cold months) so that it doesn’t have to work harder and stay on longer than it should. Simply flip the toggle switch on the base of the fan to change the direction. It’s particularly important to stay on top of this if your family has allergies since a dirty filter can’t filter allergens out of the air very well. Another good reason to make sure your filters are clean is to maximize your equipment’s energy efficiency. It requires more energy to cycle air through a dirty, clogged filter than it does a clean filter. If you have a reusable filter for your air conditioner, be sure to follow the manufacturer’s directions on how to properly clean your filter. Curtains and blinds of all types collect dust over time, so it is important to clean these periodically. Most curtains can be removed and washed. Many fabrics can be washed at home on cold and gentle cycle, and air dried. If they are too large for your machine or the fabric is not washable, you may be able to vacuum them with the upholstery attachment of your vacuum to remove dust. If they must be dry cleaned, be wary of the chemicals that will be used on them, so you don’t unwittingly bring toxins into your home. For honeycomb-style window shades, use a gentle brush attachment on your vacuum to remove dust. If a bug has gotten stuck inside one of the tunnel of the shade, you can use compressed air to blow it out. Plantation shutters or other horizontal blinds can be dusted using a combination of your brush attachment on your vacuum and a damp microfiber cloth. Vacuum and spot clean any outdoor furniture cushions. Clean all surfaces of tables and chairs, making sure you get underneath where any spiderwebs may be lurking. When surfaces are very dirty, I like to use a bucket of warm water and a tablespoon of castile soap to give everything a thorough washing. Donate anything that doesn’t fit, doesn’t get worn, and can’t be handed down to someone else. Have everyone try on any clothes that you are unsure of. A programmable thermostat can help you save energy as well as money, so consider installing one if you don’t have one. When you program it for summer, it is best to have it set as high as is comfortable when people are typically at home. If your home is empty most of the day, it will save energy to allow the temp to go up a few degrees during those hours. Then, you can set it to cool back down 15-30 mins before you get back home. Spring is a nice time to spruce up your front entry area. If your door needs a fresh coat of paint or just a good wash, now is the time to do it. While you’re at it, check the seal of your front door for any gaps that might let air-conditioned air out (and hot air or critters in!) You can find replacement weather-stripping at any home supply store. Just take a photo of yours before you go so you know what to buy. Making sure you have a good entry mat is also important in keeping toxins and dust out of your home as much as possible. I’m sure you don’t need me to tell you that your A/C unit is an expensive piece of equipment. To keep it running in tip-top shape, it’s a good idea to have it serviced each year. Better to catch any minor issue early before it becomes major (and pricey)! When the temperatures get warmer and our swimming pools begin to get more use, making sure your filter is running efficiently is crucial. Part of regular pool maintenance is backwashing your pool to help clear the debris collected on the filter. However, once a year, it is important to give your filter a more thorough cleaning. If you don’t, it can put a major strain on your pool equipment. If it has to keep pushing water through the system with a clogged filter, you’ll be wasting loads of energy and money. You can hire a pool maintenance company to clean your filter, but it is very doable yourself, too. The process varies depending on what type of filter you have, so make sure you follow the directions for your specific filter. If in doubt, you can always hire someone to do it the first time. Have them walk you through it so you will be able to take over the task in the future. And that concludes my standing list of spring home maintenance tasks! Once you’ve checked everything off your list, your home will be summer-ready!